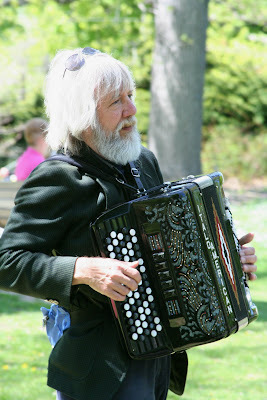 This man was very entertaining as he played for the many people who were enjoying a Lilac Festival on a beautiful spring day in Rochester, NY. Photo Friday is looking for a "monochrome" photo this week. 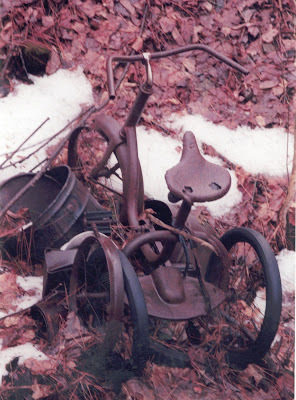 When walking through the woods where my husband grew up, we came upon this old rusted tricycle. My husband gasped and said, "I remember you!" and had no idea how the tricycle ended up there. I thought it was pretty amazing and took this photo. In my watercolor class, we painted white irises. After class, I wanted to paint some more, so I stopped at the store looking for white flowers. 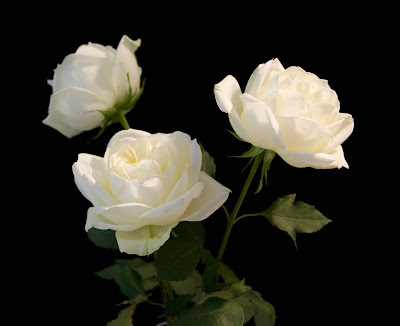 The best I could find were these beautiful very pale yellow roses. I painted them yesterday and took photos of them today so that I can try painting them again (my first attempt was OK, but I want to do better). Anyway, I thought I'd share this photo with you. They really are so pretty.